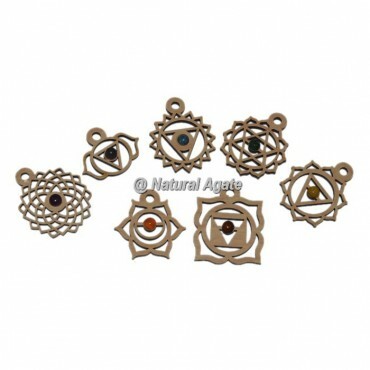 Here is the attractive collection of 7 Chakra Wooden Pendants Set at wholesale price. This pendant is available in various 7 chakra symbols.The 7 Chakras are the energy centres in our body in which energy flows through.Each chakra has their own spiritual activity for body. Place the order at our online store at Natural Agate.